Today is the start of a new year. The Earth has made another full rotation around the sun as we hurtle through space and time. Along the way, moments were left behind like discarded Polaroid photographs that littered the void with what was and will never be again. As the universe continues to move forward, it leaves those pictures out of reach. Except they are more than pictures. They are memories with an emotional connection to people and to a time that cannot be experienced again. Or changed. If I do try to stretch in to the past, it’s usually to try to hold it and wish I had something different. But that often leaves me feeling sad or empty or guilty. There are so many memories that I want to forget. I’m afraid if I reach back to grab one that it will pull me back into the vacuum and suffocate me. Maybe that explains why I’ve never been particularly good at looking back. So I try to focus on the present, except that I’m not always great with that, either. I’m better than I was, but I still miss a lot of what is happening in front of me. Maybe things are moving too fast. Or maybe I do it intentionally because sometimes what I see in front of me is hard. My son is stills seizing. His anxiety is worse and it is isolating him. The keto diet is particularly hard right now with a lot of sneaking food. The VNS surgery that I resisted for so long has left my son with a vibrato in his voice that occasionally makes him insecure. But if I could reach out in to space and pull one of those pictures from the past and hold it up to the present, I would see how different this year is ending than the last. I would see how much progress we have made. We met new people and built stronger relationships with the people in our circle. We have found a nanny and a tutor that has made our lives better in so many ways. 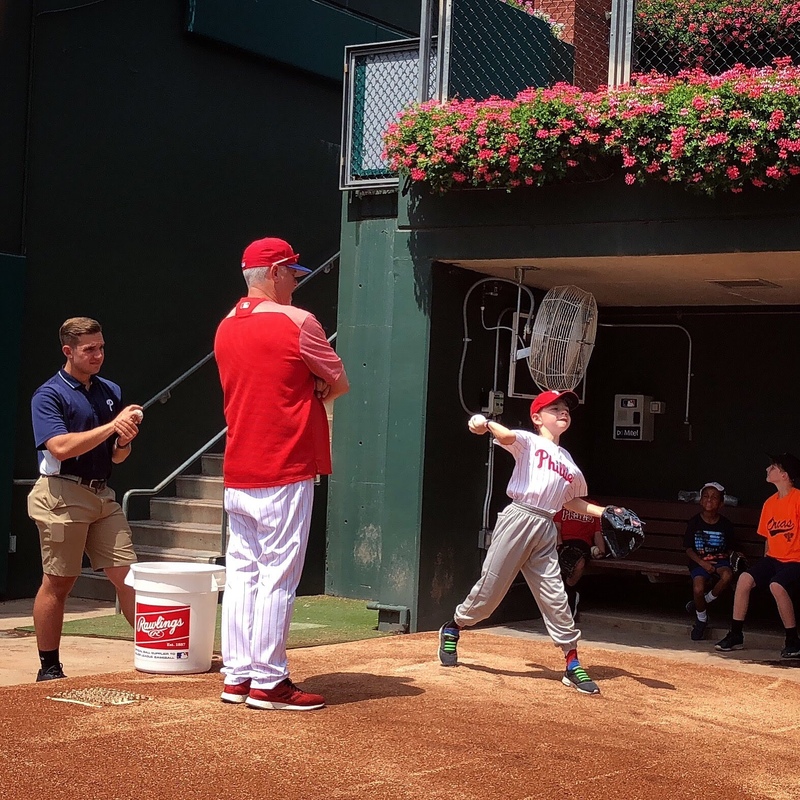 We had countless examples of people showing my son and our family immeasurable kindness and compassion, from his baseball coaches making him feel like a part of the team to strangers that saluted him when he wore his Captain America costume. 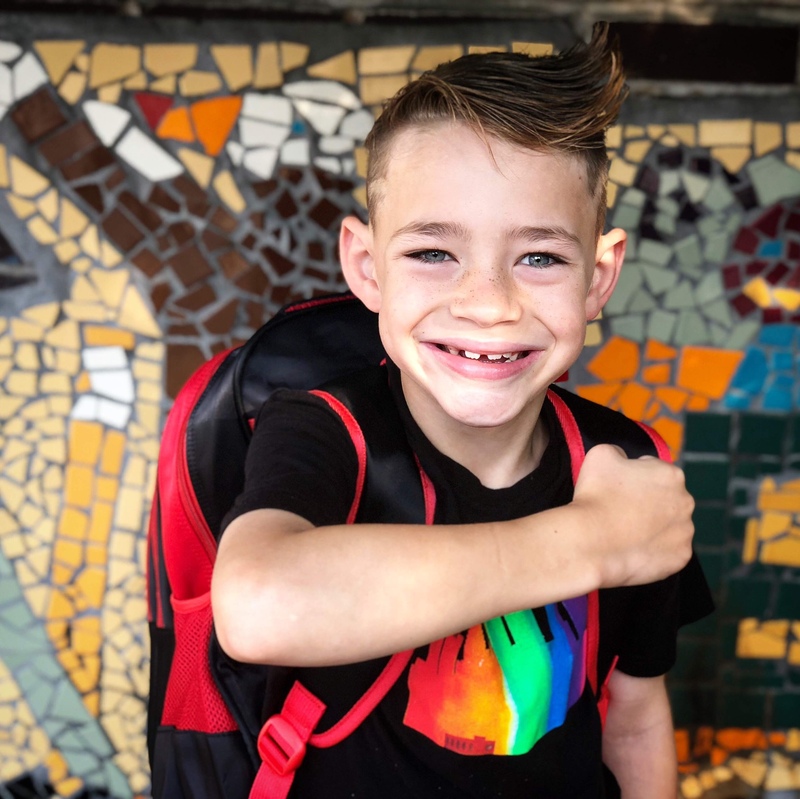 After a long struggle, we have our IEP and are getting the supports put in place to help protect my son and get him the education that he is entitled to. 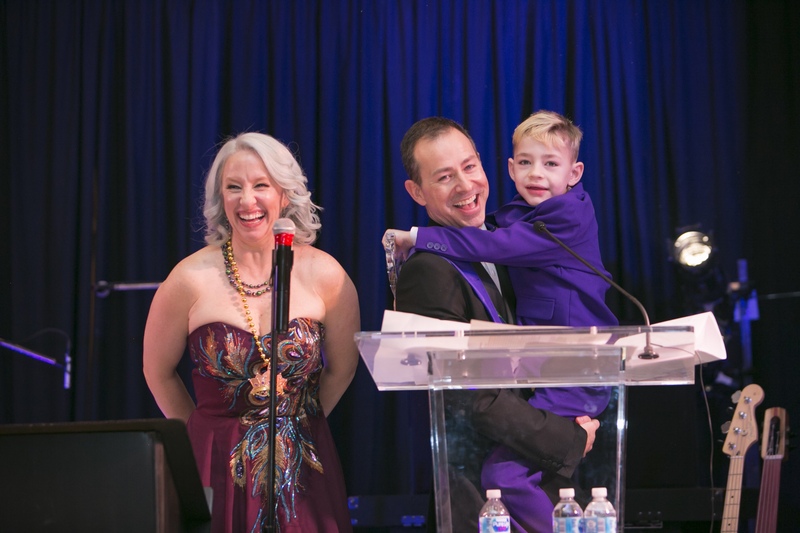 We were honored by the Epilepsy Foundation Eastern Pennsylvania at their Mardi Gras fundraiser and joined their board to give back to the organization that has given so much to us and others in our community. 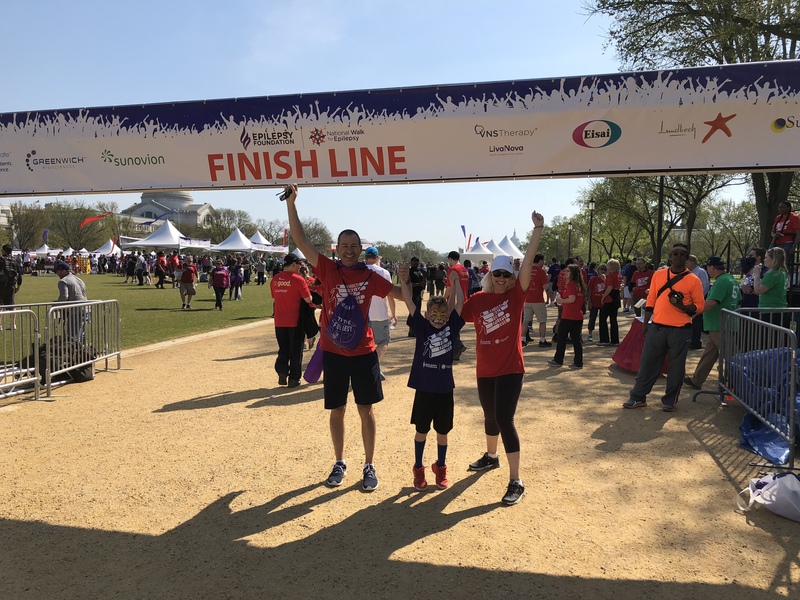 We returned to the National Walk for Epilepsy and my wife and I both ran events at the Philadelphia Marathon to raise money as part of the #AthletesVsEpilepsy team. This blog has connected me with so many people. 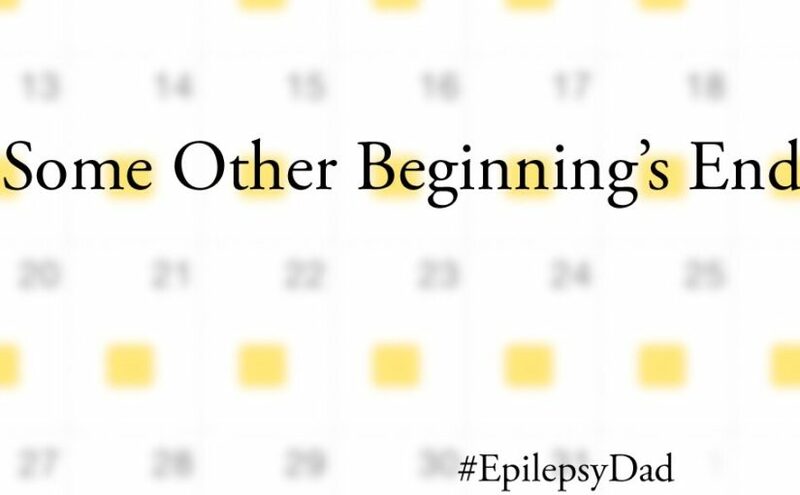 And throughout the year, our life was sprinkled with countless tiny, special moments. Like stars shining through the black curtain of space, we only needed to look up to see them. To let them in. And to be amazed by their splendor. Last year was a year of transition, taking us from where we were to where we are. I’m looking forward to this year as the year that will get us closer. Closer to my son’s seizure dog. Closer to an answer on the VNS. Closer to each other and to the people around us. Closer to who I want to be. And closer to understanding our place among the stars. I’m not great at looking back. And I’m not always good at looking up. But I want to be. Maybe that is something to look forward to in 2019. 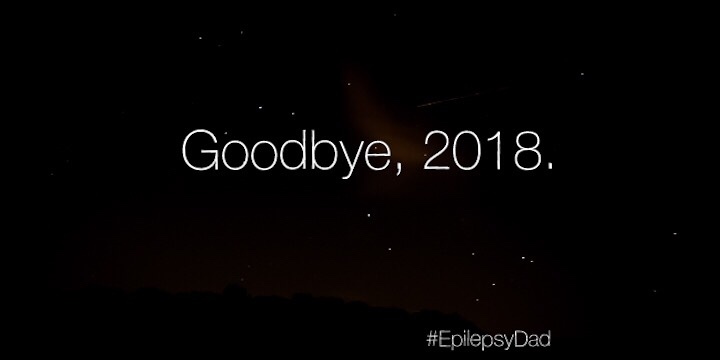 Posted on January 1, 2019 January 1, 2019 Categories epilepsyTags epilepsy, family, new year2 Comments on Goodbye, 2018.